Judd Trump and Stuart Bingham were in China to compete in the Wuxi Classic 2012 that ran from June 25 till July 1, 2012. you can read here how the tournament unfolded . Judd succumbed to Robert Milkins in the last 16. Stuart made it to the final but lost 4-10 despite making 3 centuries Great run all week from Stuart though. Well done Ballrun! You can watch Stuart’s maximum here Stuart Bingham makes a maximum in the final of the Wuxi Classic 2012. 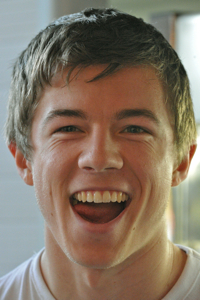 Jack Lisowski turns 21 today. and loads of fun and happiness in your life. Keep smiling. Congratulation to Stuart Bingham winner of the Asian PTC event 1 in Zhangjiagang, China. Chen Zhe, Zhang Anda and Yu Delu were also involved. Zhang reached the quarter finals, while Sleepy made it to the semis, an excellent result considering he only turned pro a month ago. Read here for more detailed results. 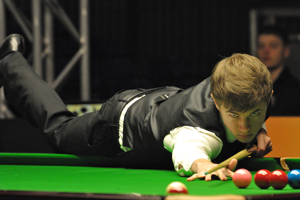 The Australian Goldfields Open qualifiers ran from 12th to 15th of June, 2012 with Chen Zhe, Jack Lisowski, Liang Wenbo, Yu Delu and Zhang Anda all trying to join Stuart Bingham, the defending Champion in Bendigo. Jack and Liang made it and are bound to Australia. Read here how it happened. Ronnie O’Sullivan has decided to make good on his desire to take some time off from competitive snooker. Chen Zhe, Zhang Anda, Yu Delu, Liang Wenbo and Jack Lisowski were all involved in the Wuxi Classic qualifiers, but none of them could make it to the venue. You can read here about their matches and how they fared.